Vienna, Austria’s capital, has been titled the 2nd most livable city in the world. It has beautiful architecture and larger than life buildings everywhere you look, efficient public transport, great beer and friendly people, making this an absolute must see! You can fly to Vienna from any European city. From Prague, you can take a train or bus taking around 5hrs and there are several a day that leave. From Bratislava, it is just a 1hr bus for 7euro that leaves every hour or so. From Budapest you can also take either a train or bus for 3 hours and there are several services a day. From Krakow you can take the overnight train taking 8 hours. You can book the trains in advance online with Rail Europe by clicking below, however you can easily buy tickets on the day or the day before, so don’t stress about being too organised. It is hard to find any hostel accomodation in the Old Town and all of them seem to be a few kms west of the city, by the Westbanhof (large train station). Don’t stress about this, it’s only a few metro stops away and takes 10min to get into the city. 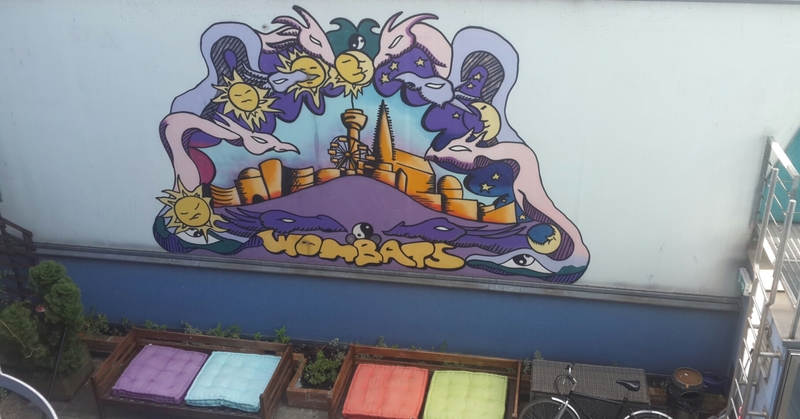 I would recomment staying at Wombat’s hostel. They are a chain around Europe and there are three in Vienna. Two are near the Westbanhof and one is near Nachmarkt which is closer to the city and very well located. They have great facilities, it’s super social and there’s always people hanging in the bar or the terrace to meet, and it’s really clean and comfortable. For around 15euro a night in summer it’s pretty well priced as well. I went to the free walking tour like I do in most cities, but the group was so big and it was such a busy area that I coudn’t really get much from it, so I created my own walking tour instead. Start at the Nachmarkt. This is a great market full of fresh food and deli products which are great to sample. There is also an assortment of clothes and other markety things for sale. It extends quite far and on Saturdays there is a flea market attatched to it which is huge. It is open everyday apart from Sundays. From here you can walk to Museums Quartier. This is a lovely area with several museums and a nice grassy area infront that a lot of people treat as a picnic area. Take some food from the market and eat it here in the sun. From here walk north to the oustanding Parliament building and see its red carpet entrance. 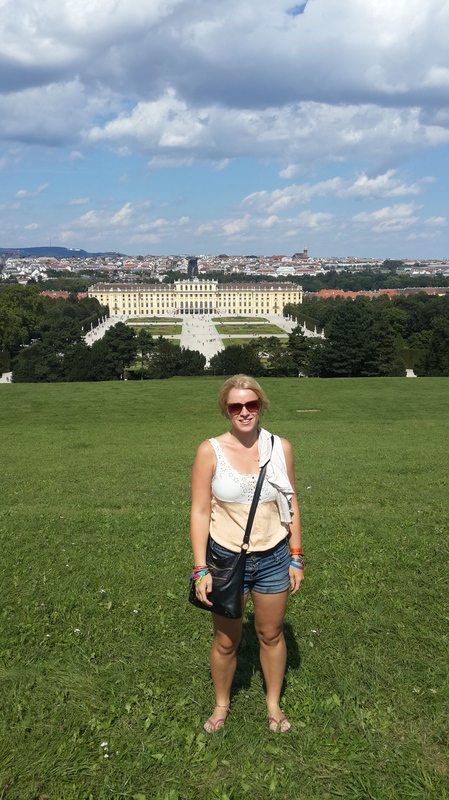 Walk back along Burgring and around to the Hopfburg palace and Riding School. This is another example of sensational architecture in this city. 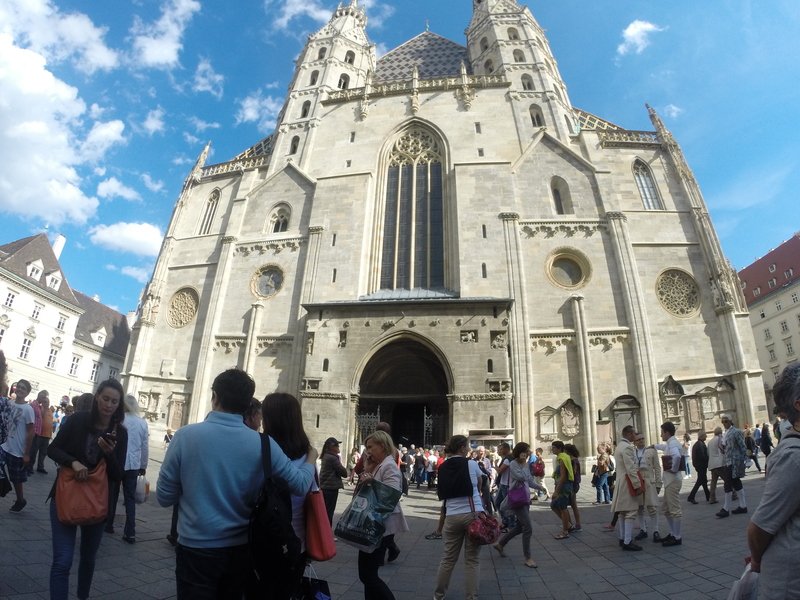 Head north to St Stephens Cathedral. It is in the middle of the town square and is beautiful with its black almost rusted appearance. 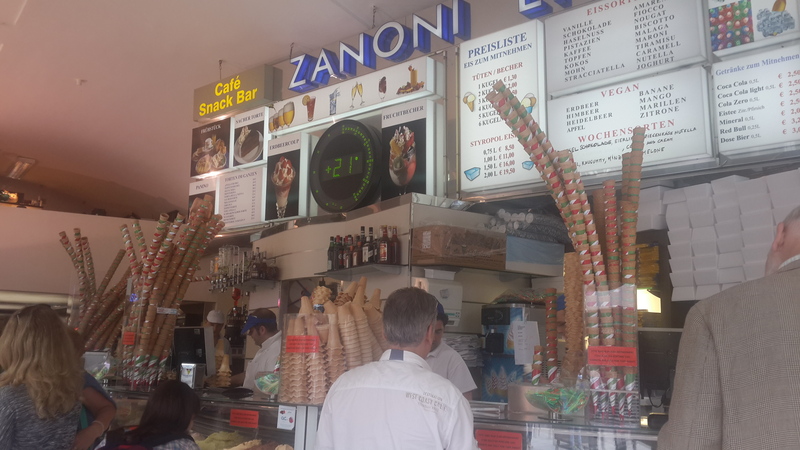 After all this walking, reward yourself with the best gelato in Vienna. From the cathedral, head north on Rothenturm street and find the many signs directing you to Zanoni & Zanoni gelato. It is AMAZING. 2. See the view from The Donauturm tower. Get off at Kaisernuhlen-VIC metro station on the U1 line and it’s a short walk through the gardens. It is 6euro to go up the tower and the view is a stunning panoramic of the city. It really shows how large scaled it is and also interestingly enough the lack of high rises. If you can spare a few euro, go to the restaurant and have a drink there. The windows are cleaner and it rotates around, so you get a better view than from the observatory, where there are just bars across it all. 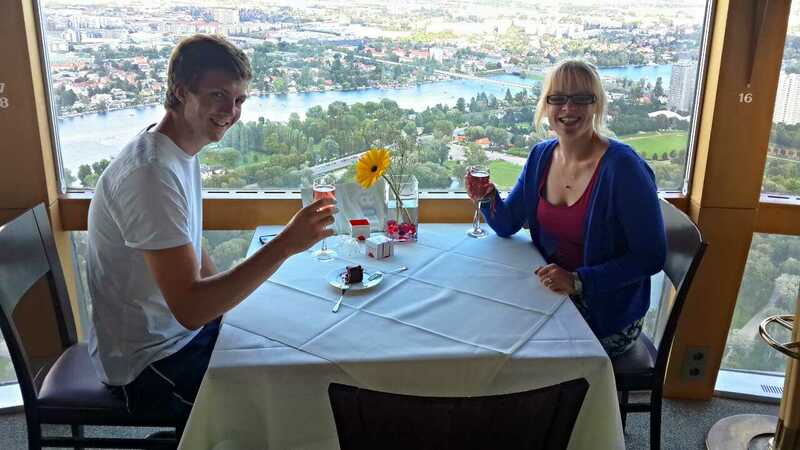 Sparkling wine on top of the tower in the revolving restaurant! On the U1 and U2 line, it is just north east of the city centre. It’s free to enter and has rides for every level of adrenaline. 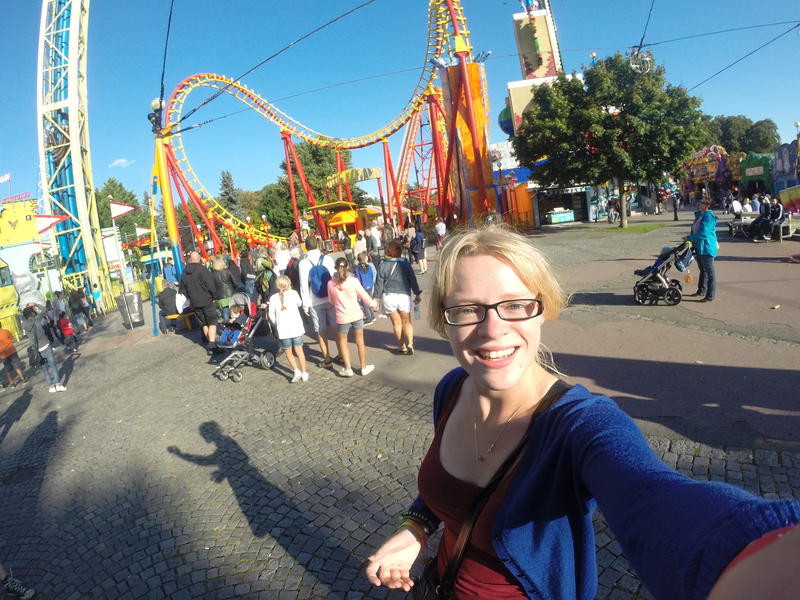 It is the largest private city theme park I’ve ever been to, as it has probably over 15 extreme rides including bungee jumping simulation, rollercoasters and rides that throw you in the air while spinning and going upside down! You just pay for the rides you do which vary from 3euro to 10euro depending how extreme they are. It is a really cool place and is perfect for a Sunday when some things are closed. This is just south west of the city on linen U4 at metro stop Schonbrunn. The grounds are huge and consist of the palace itself and numerous gardens behind it. You can get a guided tour of certain parts or all if you wish. However I did it for free; if you walk around the palace you will get to the beautiful open garden. 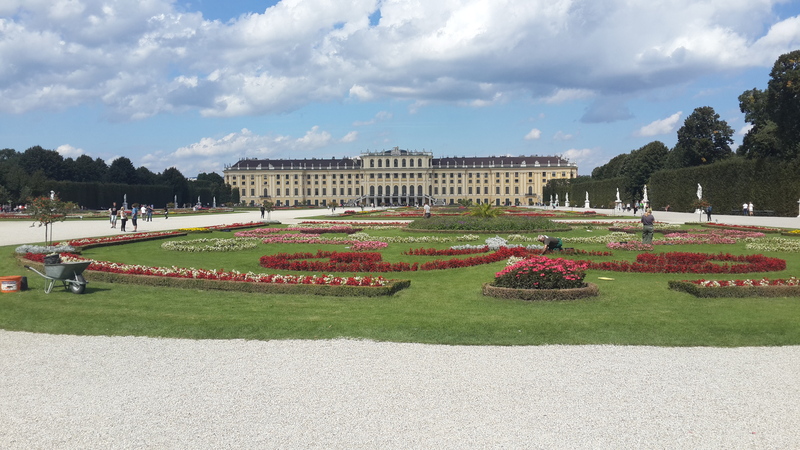 Walk up to the top and you can get views from the other direction of the gardens, palace and Vienna behind it. This is a really sunny spot where a lot of people sit and hang out for a few hours. Stadtbanhbogen. On the U6 line on the west, there is a thriving new nightlife under the subway. There are many bars and clubs open here that many students go to as the prices are cheaper. If you’re fast, I would say two full days. However if you like to sleep in a bit, meander and get to know the Old Town a bit better I would stay 3 full days. This entry was posted in Austria, Europe. Bookmark the permalink.